Let’s face it, you are not losing fat. Sure, you have been trying to diet down for your upcoming figure competition, right? But, you keep falling off the dieting wagon every week. Sure, Monday starts off good, and you can even get through Tuesday. But by mid-week you start slacking, nibbling, and then totally give in. Am I coming close? You are not losing fat because you are letting a few things go stale. Let’s get a fresh start and make your program WORK this time. You need to step back and identify the reasons you keep falling short. 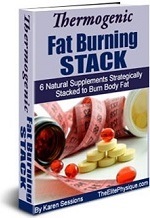 Read over the list below and see if you can identify your struggles and pitfalls of why you are not losing fat. The simple step of just taking notice of them can make all the difference in the world. 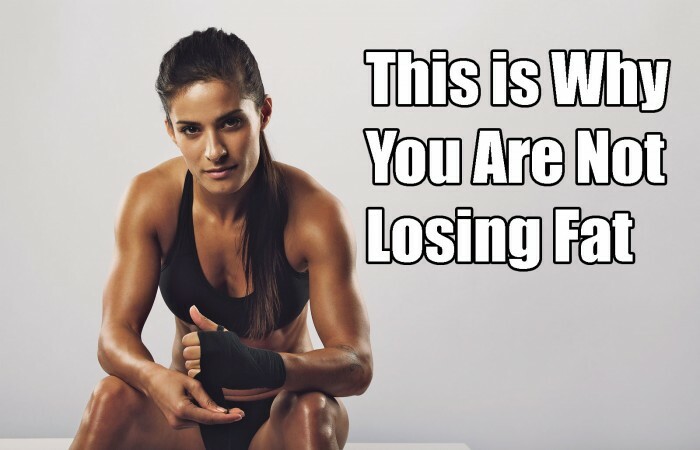 You are not losing fat because you are not putting yourself first. Just as with any goal you strive for, you have to make it a priority. This means you may have to be a little bit selfish and put your own personal needs first to meet your goal. It’s important to stay on your figure prep diet no matter what. If you have to attend an event or gathering then take your food right along with you so you won’t eat any dangerous fattening foods that may be offered. In the end you’ll be proud you did and feel much better about yourself, trust me. You are not losing fat because your goal is not realistic. It’s great that you want to prep and enter a figure competition and setting a goal is the perfect way to get started and make it happen. However, do make your goal realistic. 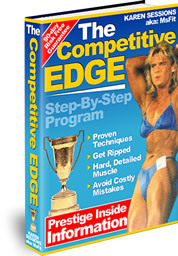 While I do have many first-time figure competitors taking first places, winning overalls, and even Pro Cards, don’t set your sights on such a high stake right out of the gate. Take your time, get your feet wet and learn the playing field and build on that. Going in your first figure contest with the goal of earning a Pro Card can be unrealistic, but not impossible. If your goal is too far out of reach it can be so distracting that you won’t even achieve stepping on stage. Make your goal believable, approach it, attain it, and progress it. You are not losing fat because you are rushing the process. It’s great to have a do-or-die attitude when prepping, but be careful. 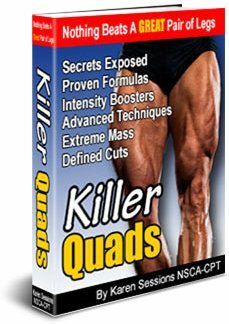 Jumping into contest dieting and prep with both feet with a 100% give-all attitude with no room for breaks is a set-up for disaster, and why you are not losing fat. Take some time and ease into your program so you have room to gradually wean off the forbidden foods. This also leaves you room for the occasional slip-up and adjustments as you go. Give yourself a few extra weeks to ease into the process is a great help and you won’t feel so overwhelmed. Yes, you can make some great changes in a week, more changes in two weeks, and even some shocking changes in 3 weeks. The body transformation process is built over time, not in just one week. Expecting a 5 pound weight loss in one week is unrealistic and will totally crush any positive attitude you had about losing fat. It’s a process, give it time. You are not losing fat because you are eating haphazardly. Yes, random eating will destroy your fat-loss efforts. Your body will respond much better if you get on and stick to a scheduled eating format. Eating a small balanced meal, complete with protein, carbs or non-starchy veggies and fat, every 3-4 hours or so helps to keep a positive nitrogen balance and it wards off those nasty carb and sugar cravings. 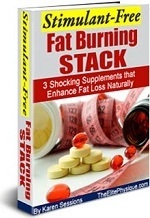 You are losing fat because you are sneaking in unapproved foods. Forget it. There’s no justification for nibbling unapproved foods on your figure meal plan. If you want that body transformation and look like a figure model, stop the nibbling between meals. If you are hungry between meals then you need to either increase your calories or increase your meal frequency. Giving in to temptation will guilt you to death! Before you give in think about your ultimate goal. Do you want to compete in a figure contest? If so, think about how your competition is dieting smart and training hard! If you can put this thought pattern into process and visualize your competition, it would be easy to take a step back and wait for your next scheduled meal, ultimately staying on track. You are not losing fat because you keep making excuses for slip-ups. Making excuses is probably the number one reason you are not losing fat. Making excuses for slip-ups won’t help you get closer to your goal. Trying to rationalize excuses will just keep you running around in circles. If you screw-up and cheat on your diet, own it. Don’t make excuses for it. Failures make excuses, winners make it happen. 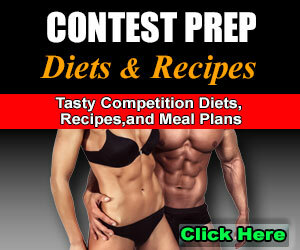 So, above are some of the most common scenarios figure competitors fall into when dieting. Use these tips to your advantage, take action and keep pushing forward so you can be a winner. 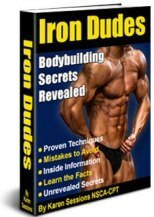 Now, if you want the no-fail guide that will get you to your goal of stepping on stage and winning your contest, you need to download a copy of Figure Competition Secrets.